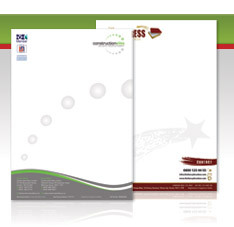 Your corporate identity and stationery is an important factor that customers include when deciding between you and a competitor, it is therefore essential that your corporate literature projects the right message. 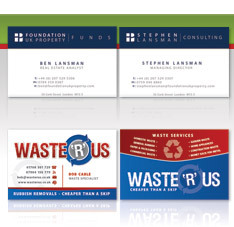 We can supply a large array of stationery design for print services which include business card design, letterhead design, comp slips design and NCR pad design. 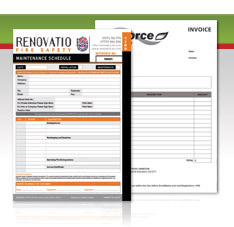 We can design any style of NCR pad, no matter what shape, size or format and create each design completely bespoke and tailored to your specific requirements. If you have an idea in mind or an existing form that needs updating we will happily work from that or alternatively advise you on the best layout and structure depending upon your requirements. For those who require full company stationery design and print including letterheads, compliment slips and business cards, we have put together some cost saving design and print packages. For example, we can design your business cards, letterheads and comp slips for £50 when ordered with a lithographic stationery print bundle... 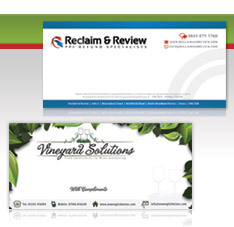 Please feel free to order one of our FREE Printing Sample Packs to see the quality of our print work.